Welcome to our CAMHS Guide. 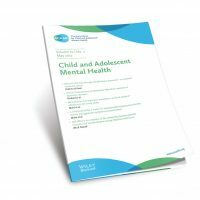 Use the headings below to reveal the sections of the Guide, or scroll down for latest ACAMH events, blogs, journal articles, videos and podcasts related to CAMHS. Child and Adolescent Mental Health Services (CAMHS) is a broad term for all services that work with children and young people who have difficulties with their emotional or behavioural wellbeing. As well as NHS CAMHS, local areas will have a range of other services available, based on local need and commissioning arrangements. These include services from local authorities, schools, charities, the private sector and community paediatrics. Across the UK, each country has its own policy and strategy underpinning child and adolescent mental health. CAMH services are also configured slightly differently, but all contain essentially the same mix of preventive, early intervention and specialist services. The vast majority of services are provided in outpatient and community settings, with very few inpatient beds (RCPsych 2017). CAMHS professionals deal with a wide range of emotional, behavioural and psychiatric problems. This includes eating disorders, autistic spectrum disorders, ADHD, depression and anxiety, post-traumatic stress and early developmental trauma, psychosis and those at risk of suicide (Children’s Commissioner, 2016). The service also supports children and young people with physical health problems that impact on their well-being and those with learning disabilities (Children’s Commissioner, 2016). The structure and operation of CAMHS can seem complex, because it differs from the way children’s physical health services and adult mental health services are set up. The structure of CAMHS is probably best explained in terms of how a child or young person accesses the service, with four ‘tiers’ of service provision (JCPMH 2013). Tier One Universal services such as early years services and all primary care agencies including general medical practice, school nursing, health visiting and schools. Tier one services aim to promote mental well-being, recognise when a child or young person may have developmental or mental health problems that this level of service cannot meet, and know what to do when this is the case. Universal services may be provided by a range of agencies. Tier Two More targeted services such as youth offending teams, primary mental health workers, and school and youth counselling (including social care and education). This includes support for children with less severe mental health problems. Tier two services include mental health professionals working on their own, rather than as part of a multi-disciplinary team (such as CAMHS professionals based in schools). Staff may work with the child or young person directly, or indirectly by supporting professionals working in universal services. In addition, Tier 2 services include school counsellors and voluntary sector youth counselling services. Targeted services include those provided to groups at increased risk of developing mental health problems, such as looked after children’s teams. Paediatric services may also be defined as Tier 2 CAMHS because they often take the lead for children with developmental disorders and attention deficit hyperactivity disorder (ADHD). liaison teams providing CAMHS input to children and young people in acute care settings. Tier Four Highly specialist services, such as day and inpatient services, very specialised outpatient services and, increasingly, services such as crisis/home treatment services which provide an alternative to admission. These are generally services for a small number of children and young people who are deemed to be at greatest risk of rapidly declining mental health, or from serious self-harm, who need a period of intensive input. Tier four services are often provided on a regional or supra-regional basis. 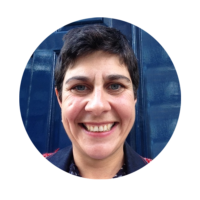 There are also a small number of very highly specialised services including medium secure adolescent units, services for those with gender dysphoria and highly specialist obsessive compulsive disorder services. These services are usually commissioned on a national rather than a local basis. Referral routes and access to CAMHS varies, and who can refer and how will differ from area to area. Usually health professionals such as GPs and nurses, teachers, social workers and youth offending teams can refer children and young people. In many places, young people themselves (if they are old enough) and parents can also make a referral. One week, if urgent, for those treated in the community for eating disorders. Otherwise the waiting standard is four weeks, with the first contact being made within 24 hours in an emergency. In Scotland, 90 per cent of young people are expected to start treatment for specialist CAMHS within 18 weeks of referral (Scottish Govt., 2016). In Wales, national waiting time standards for assessment and treatment by local primary mental health support services is 28 days (NHSD Wales 2017). In England, around 270,000 referrals are made to Tier 2 and 3 (targeted and community specialist) CAMH Services each year (NHSE 2016). Of these, around 200,000 are accepted (NHSE 2016). The average number of children being referred is 24 per thousand, and 18 per thousand are accepted for assessment and/or treatment (NHSE 2016). These figures vary widely across the country, for example, Northern England CAMH services receive twice as many referrals as those in the East of England (NHSE 2016). In Scotland, 8-9000 referrals are made each year to CAMHS, and of these around 7,000 receive further assessment and/or treatment (ISD Scotland 2016). The average number of children being referred is 8 per thousand, and 7 per thousand are accepted (ISD Scotland 2016). As in England, the figures vary widely across the country, with three times the number of children per thousand being referred in Greater Glasgow, compared to in Orkney and Shetland (ISD Scotland 2016). In Wales, the data for referrals made and accepted is harder to come by. A 2014 inquiry into CAMH services found that the total number of children and young people referred and waiting for treatment in Wales has increased from 1,204 referrals in April 2010 to 2,410 referrals in May 2014 (National Assembly for Wales, 2014). All CAMHS services are under pressure. 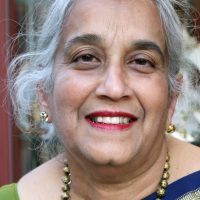 They have been affected by chronic underinvestment compared to physical health services; in fact, CAMHS is often described as the ‘Cinderella of the Cinderella service’, receiving less than 1% of NHS funding (Frith, 2016). They are also having to cope with a significant increase in demand. For example, referral rates to Tier 3 CAMHS in England have increased greatly, with the number of cases rising by more than 40% between 2003 and 2009 (JCPMH, 2013). A recent Europe-wide survey also helps to put UK CAMHS provision in context; showing how the UK lags behind other well-funded countries (Signorini et al, 2017). The Royal College of Psychiatrists 2013 Report, Building and sustaining specialist CAMHS to improve outcomes for children and young people, sums up the situation well. 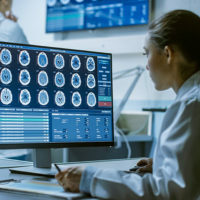 NHS CAMH Services in England, Wales and Scotland have all been feeling the strain and have been the subject of recent inquiries and mounting concern about their fitness for purpose. As a result, all three countries have taken the opportunity to review and reassess the way services are commissioned, delivered and evaluated. In addition, many CAMHS do not have IT systems capable of understanding existing caseloads and matching them against local need. This data would clearly be extremely useful to back up clinicians’ claims of being overworked. In 2014, NHS England published a report on Tier 4 CAMHS. The report found that there is an uneven distribution of services across the country. As a consequence, some children and young people were being admitted to services a long way from home. The report also found evidence of people being admitted inappropriately to CAMHS inpatient services, because of a lack of lower-level community provision. In the same year, the House of Commons Health Select Committee launched an inquiry into CAMHS. The Committee concluded that “there are serious and deeply ingrained problems with the commissioning and provision of children’s and adolescents’ mental health services”. As a response, The Children and Young People’s Mental Health and Wellbeing Taskforce was established to look at ways to make access easier and to improve how children and young people’s mental health services are organised, commissioned and provided. The Future in Mind report (DH and NHSE 2015) was one of the outcomes, which laid out core principles and requirements for a system that ‘properly supports the emotional wellbeing and mental health of children and young people.’ This included promoting resilience, prevention and early intervention, improving access to effective support (a system without tiers) and developing the workforce. In 2016, the Children’s Commissioner published a ‘Lightning Review’ of CAMHS which also highlighted some serious concerns. This included waiting times of up to 200 days, delays in emergency treatment and the number of children and young people not being assessed and treated because they didn’t meet thresholds. The National Assembly for Wales Children Young People and Education Committee conducted an inquiry into CAMHS in 2014. A wide range of stakeholders were consulted and the remit of the inquiry included exploring early intervention, access to treatment, regional variations in services and safeguarding issues. The level of CAMHS provision is not enough to meet the needs of young people who need a specialist service. Difficulties exist for children and young people who do meet the criteria for CAMHS, including waiting times, clinic-based services and the use of prescription medication. The absence of services for those children and young people who do not meet the “medical model” criteria for CAMHS means that there is a significant level of unmet need. There is at present no early intervention in psychosis provision in Wales, which is striking in contrast with England. A 2016 review of mental health services in Scotland (MHF 2016) painted a mixed picture of service improvement and challenges. There were reported improvements in the transitions between CAMHS and adult services, in specialist teams supporting looked after/accommodated young people and those that self-harm and in early Intervention in psychosis teams. However, access to services was reported to be limited, especially outside of major cities. There was also an increasing demand for CAMHS including inpatient psychiatric care. The report made a number of suggestions for improvement, including focusing upon prevention and early intervention, addressing gaps in crisis responses, and stronger connections between in-patient and community teams. 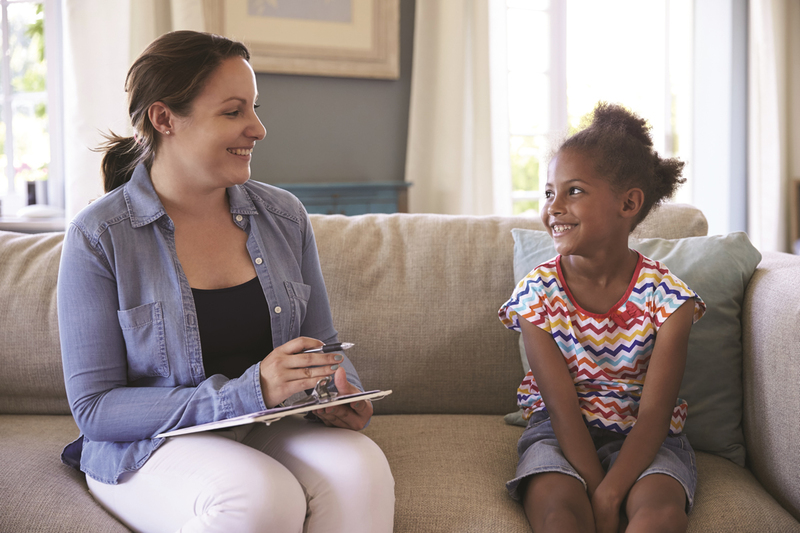 NHS England has a five-year plan to ‘support CCGs to work with partners to build effective, evidence-based outcome-focused Child and Adolescent Mental Health Services (CAMHS)’. The government has pledged £1.25 billion by 2020 to support these improvements, along with £150million for eating disorder services. the development of more specialist services. Scotland Mental Health Strategy 2017-2027 aims to move towards greater parity between mental and physical health. This includes work to reshape CAMHS by improving support for preventative and less intensive services (tiers 1 and 2 CAMHS) to tackle issues earlier, an audit of CAMHS rejected referrals and improved mental health training for those who support young people in educational settings. The strategy has a particular focus on preventive and universal services, with a commitment to review the role of counselling services in schools and Personal and Social Education (PSE), mental health training for non-mental health staff and making appropriate, evidence-based, parenting programmes available across Scotland. NHS England. (2015) Future in Mind: Promoting, protecting and improving our children and young people’s mental health and wellbeing. NHS England/Department of health. London.